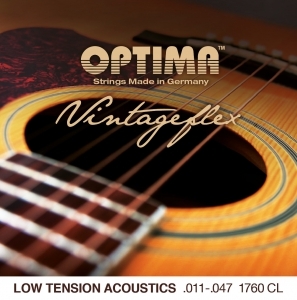 The Vintageflex strings are light, feel great and are easy to play. These strings are a completely new range which are designed to have a reduced and virtually equal tension on each string. They are made on a round core with unique core-to-wrap ratios. so the gauges match up with our standard sets but the tensions are much lower.